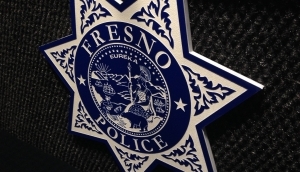 FRESNO (KMJ) — A survey to determine the qualities the people of Fresno would like in a new police chief is now live. The online questionnaire is part of the effort to replace Chief Jerry Dyer, who officially retires on October 16th. Mayor Lee Brand has promised transparency throughout the process. “The selection of the next police chief may be the single most important decision we make in my service to the community as the Mayor,” said Mayor Lee Brand. Surveys in English, Spanish, and Hmong are available. A link to the English survey can be found clicking here, a link to the Spanish survey can be found clicking here, and a link to the Hmong survey can be found clicking here. A series of community meetings have also been announced, scheduled to take place between April 22nd and May 31st.